Fig. 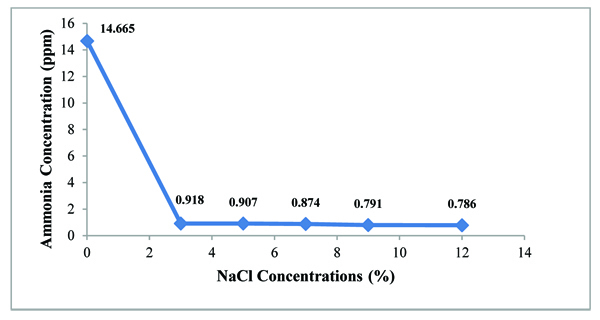 (3) Accumulated ammonium concentrations of A. agilis in GNFMM broth with various NaCl concentrations. With increasing NaCl concentration, it was seen that ammonium concentration was obviously decreased.